Montevideo is the capital, largest city, and chief port of Uruguay and is situated where the Rio de la Plata meets the Atlantic Ocean. 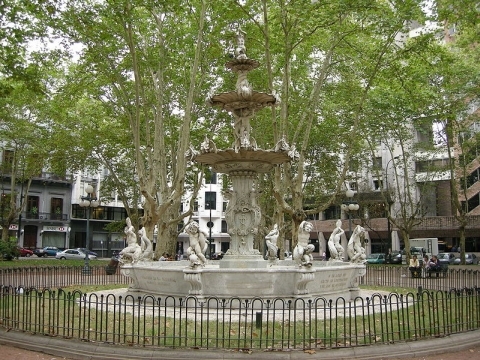 Independence Plaza is the centre of the city, a park surrounded by highly decorative buildings. 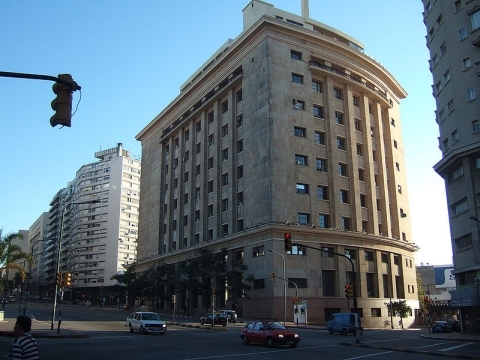 The Avenida 18 de Julio runs east from the plaza and passes through the main business district and gets its name from July 18, 1830, when Uruguay adopted its first constitution. An arch, west of the plaza leads, to a historic district called Old Town with many buildings that date from the 1700's or 1800's. 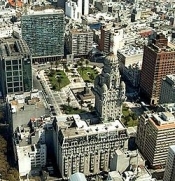 Most of Montevideo's people are of Spanish, or other European descent. 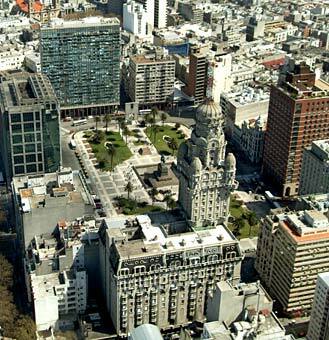 About half of all Uruguayans live in Montevideo and dwell in single-family houses or modern apartment buildings. The city has an excellent system of public education and is the home of the University of the Republic and the Technical University of Uruguay. 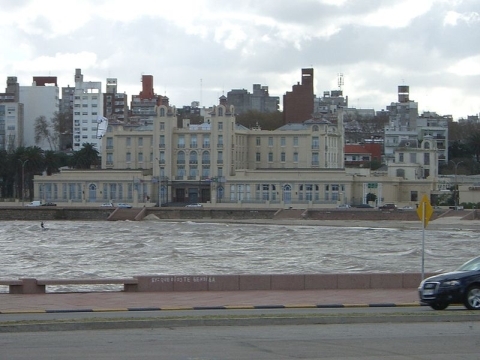 More than half the workers of Montevideo are employed by the government. Other important industries include textile manufacturing, banking, and tourism. 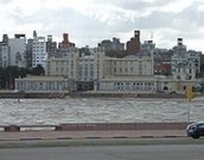 Most of Uruguay's exports and imports pass through Montevideo's port. 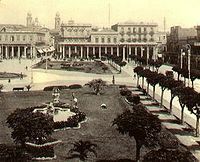 Montevideo was founded in 1726 by Bruno Mauricio de Zabala, the Spanish colonial governor of Buenos Aires, Argentina. Beginning in the late 1800's, the city expanded rapidly as the result of heavy immigration from European countries, including Spain, France, Hungary, Italy, and the United Kingdom. 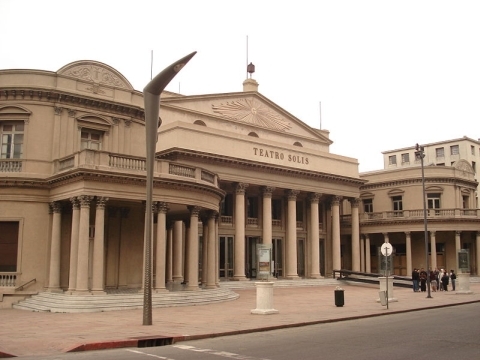 This heritage makes Montevideo look much like a European city. On Sundays, there is a huge flea market covering many city blocks. You can stroll in the old town called La Ciudad Vieja, loaded with colonial charm or on the seaside or other promenades to experience the warm, friendly culture of Uruguay.